The Thompson Technique is a system of analysis and adjustment for the full spine. Developed by Dr. J. Clay Thompson, the technique produces precise adjustments and high levels of patient comfort. 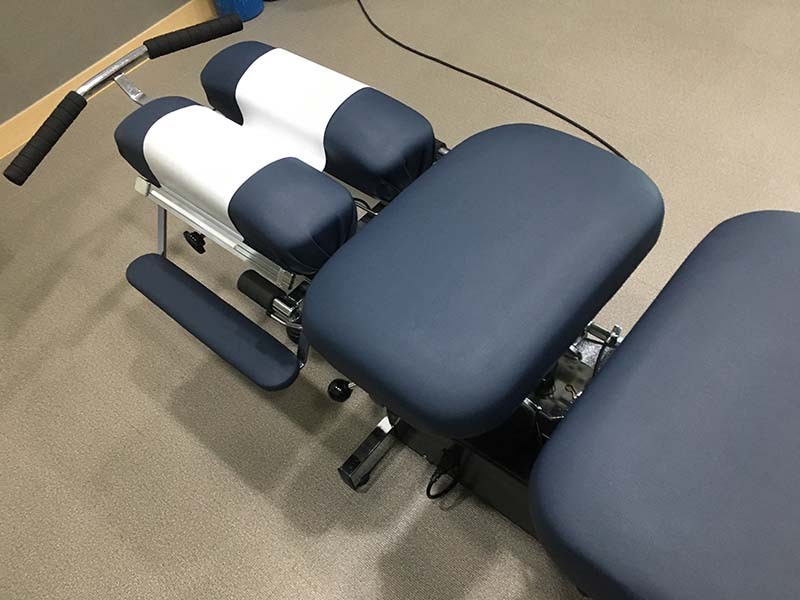 This is a unique approach that was patented by Dr. Thompson in 1955 and is now used around the world – including at our St. Francis chiropractic clinic. Early chiropractors noticed that certain spinal misalignments would produce the appearance of a short or contracted leg. By comparing leg lengths while the patient turned their head, chiropractors are able to determine whether the misalignment is in the upper, middle or lower back. Individual cushions or “drop pieces” located along the table surface support each area of your spine until the thrust is delivered. Then, each drop piece gently gives way, reducing the amount of energy needed to move a specific spinal segment. Learn whether this unique and effective treatment method could help relieve your pain. Request an appointment with our experienced practitioners!